Is Amy Reimann Lesbian ? Born and raised in Texas, USA, Amy Reimann is a project coordinator at the architectural design firm, Wakefield Beasley and director of the interior design studio, Micamy Design. She is popularly known as the wife of NASCAR superstar Dale Earnhardt, Jr. The duo tied the knot in 2016 at Lexington, North Carolina. The couple shared a daughter, Isla Rose Earnhardt (born on April 2018). Amy Reimann was born on March 25, 1982, in Texas, USA to Jeffrey Reimann and Anna Reinmann. Her birth sign is Aries. Reimann graduated from the University of Kentucky in 2005 majoring in the interior design. She was a cheerleader at University of Kentucky from 2000 to 2001 and became the part of the Wildcat Dancers. Soon after completing her graduation, Reimann worked at Wakefield Beasley, a privately held architecture and planning industry company where she worked as a project coordinator. After working for few years, she left Wakefield Beasley and joined Micamy Design Studio in 2010 as Director of Charlotte Studio. Reimann achieved a great success in her interior designing career but she rose to fame after dating NASCAR superstar Dale Earnhardt, Jr. Her husband is a semi-retired American professional stock car racing driver and team owner who currently served as an analyst for NASCAR on NBC. Amy Reimann is a successful American interior designer. In the USA, the average salary of an interior designer is $95k but she is quite professional in this field. So, she might earn more than the average figure. Considering her career growth, her net worth isn't less than six digit figure. Her husband is one of the highest paid car racers and has an impressive net worth of $400 million. Amy Reimann is a married woman. She tied the knot with Dale Earnhardt Jr., NASCAR superstar at Richard Childress' Childress Vineyards in Lexington, North Carolina in 2016. The couple first met professionally when Earnhardt, Jr. asked Reimann to design his home in Mooresville, North Carolina in 2009. After a few meetings, the couple started dating and got engaged on June 17, 2015. 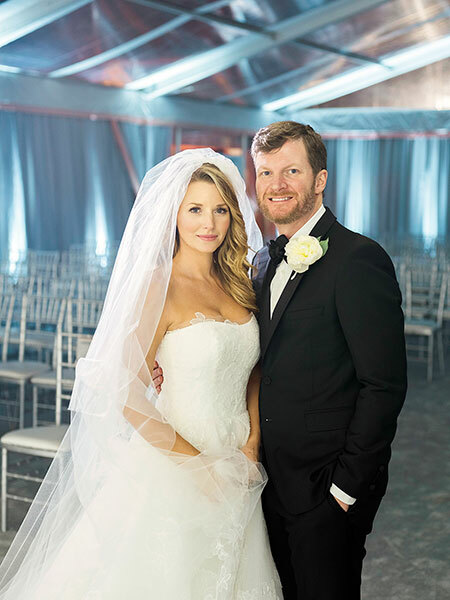 In 2016, Earnhardt Jr. announced their marriage after winning his 14th Most Popular Driver Award. The couple welcomed their daughter, Isla Rose Earnhardt on April 30, 2018. Marriage with Dale Earnhardt Jr.
Dale Earnhardt Jr. is a semi-retired American professional stock car racing driver, team owner. He married Amy Reimann in 2015. Isla Rose Earnhardt is best known as the daughter of Dale Earnhardt Jr., and Amy Reimann. She was born in 2018.